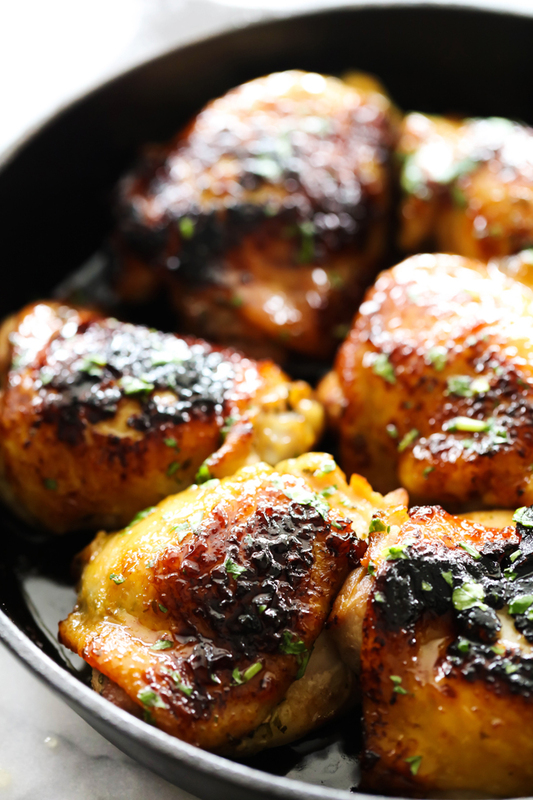 This Skillet Cilantro Honey Lime Chicken has such a wonderfully sweet flavor. It is pan seared and baked to perfection. All the ingredients combine for a perfectly seasoned sweet and flavorful sauce. Chicken is by far the universally loved meat at my house. It is the meat I can count on all my family eating which is why we eat it often and why there are so many chicken recipes on the blog. 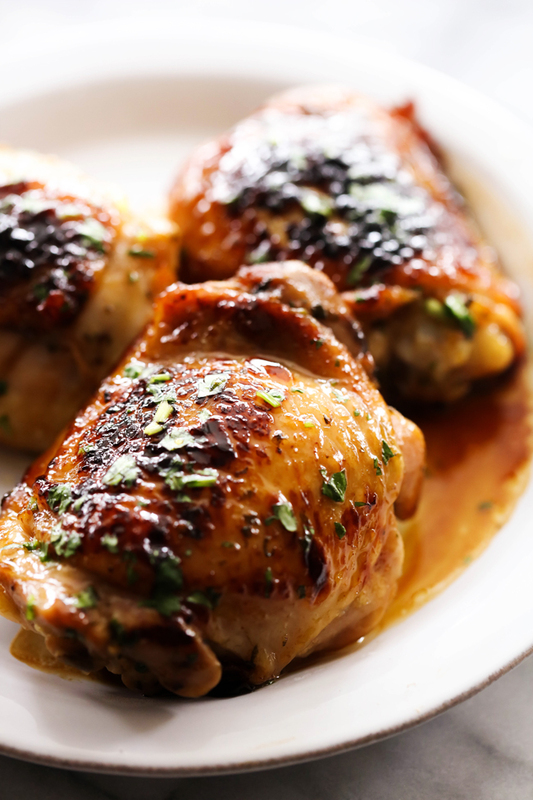 I love cooking with chicken thighs because it is such a tender part of meat. Searing and browning the meat first helps trap in flavor and tenderness. Using a cast iron skillet is wonderful because they can be used both on stovetop and in the oven, eliminating multiple dishes and providing two great forms of cooking into one dish. This Skillet Cilantro Honey Lime Chicken has an overall sweet flavor that is absolutely divine. The ingredients come together so beautifully and compliment one another perfectly. This is definitely a meal that needs to be tried. It will soon become a new staple at the dinner table just as it is in ours. In a small medium glass bowl combine lime juice, minced garlic, Cayenne pepper, salt, pepper, honey, oil, and cilantro. Seal tight and shake until well combined. Add chicken cover and marinate for 3 to 4 hours, or over-night. Heat large cast iron skillet to medium high heat. Add 3 Tablespoons oil and the chicken. Cook the chicken 3 minutes per side until golden brown. Place skillet in the oven and bake for 35 to 40 minutes. While the chicken is cooking, combine glaze ingredients in a small bowl. When chicken is completely cooked removed from oven and brush with glaze and serve. Whatever I find here is so tasty and good looking. I really enjoy your posts very much ! Thank you and enjoy the weekend ! We have made this several times with different cuts of chicken. It is all delish!